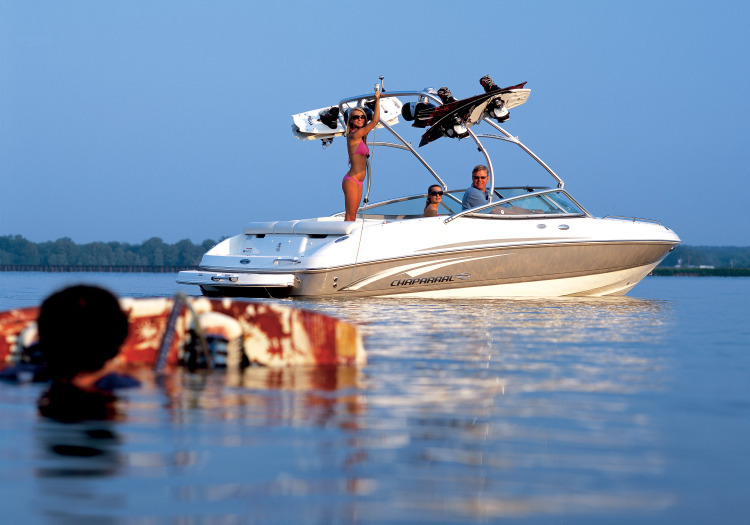 Our boats are the perfect complement to a day on the lake. Temporary Licenses Included. Kickin’ Back Boat Rentals in Lake Country, BC. Kickin’ Back Boat Rentals prides itself in customer service. We are happy to offer our delivery service throughout the Okanagan, including Kelowna and Vernon. Our boats are exceptionally maintained, always ready to rent, and we are open 7 days a week. Rent one of our boats for a great day on the water, or take advantage of our Captain at the Helm service. 150HP, seating for 14 people, upgraded bluetooth stereo with subwoofer, upper deck with waterslide, built in bar with bar stools and sink, and built in cooler. This boat is lounging on the water in class. Brand new for the 2018 season. 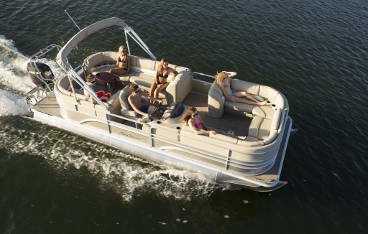 250HP, seating for 8 people, bluetooth stereo, wide/deep hull which provides steady handling and a very spacious layout. This boat is great for lounging on the water or doing water sports. 150HP, seating for 15 people, premium stereo with subwoofer, upper deck with waterslide, built in cooler. This boat is great for lounging on the water or doing water sports. 115HP, seating for 12 people, upgraded stereo, walk-in changeroom. This boat is great for lounging on the water or doing water sports. 260HP, seating for 8 people, Wetsounds stereo with subwoofer and tower speakers, wakeboard tower, built in cooler. 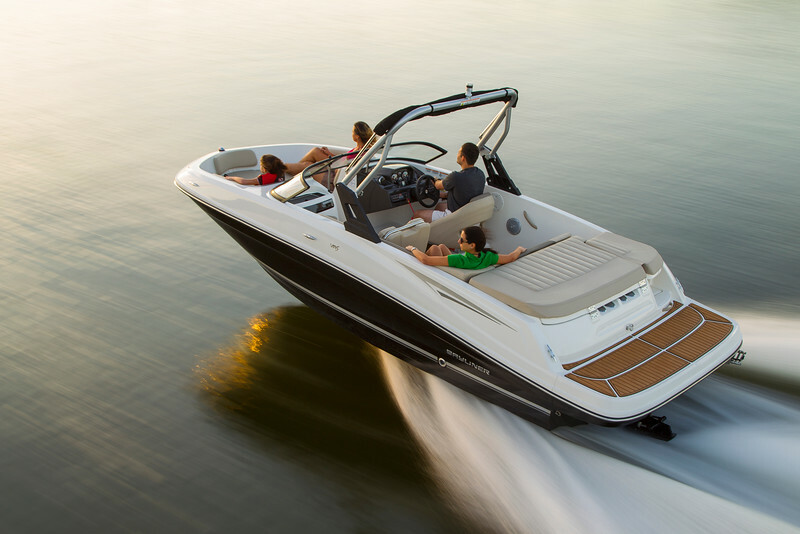 This boat is great for wakeboarding, tubing, and skiing. Brand new for the 2018 season. 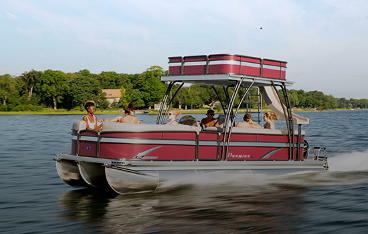 150HP, seating for 12 people, high performance stereo package , upper deck with waterslide, equipped with ski tow bar. This boat is great for lounging on the water or doing water sports. 190 HP, seating for 8 people, bluetooth stereo, wakeboard tower, tons of accessories to choose from for this boat. 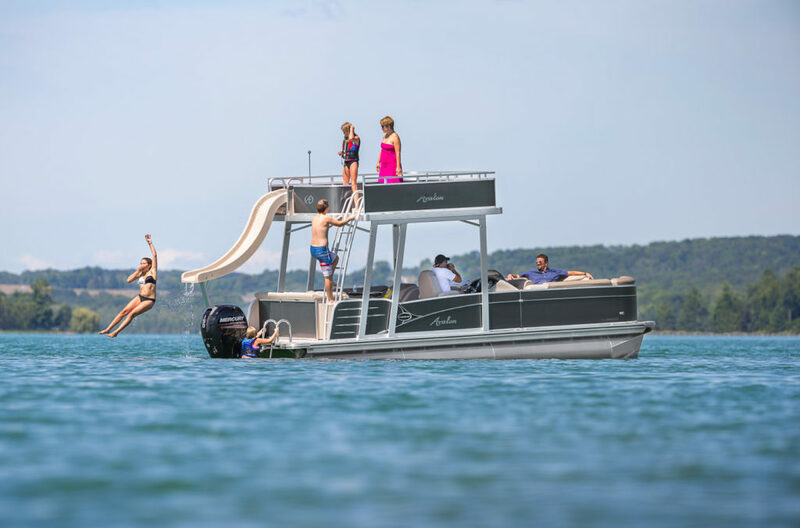 This boat is great for wakeboarding, tubing and skiing. Great for TWO families. 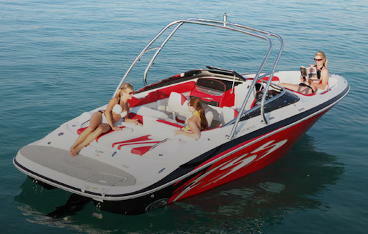 300 HP, seating for 10 people, stereo, wakeboard tower, tons of accessories to choose from for this boat. 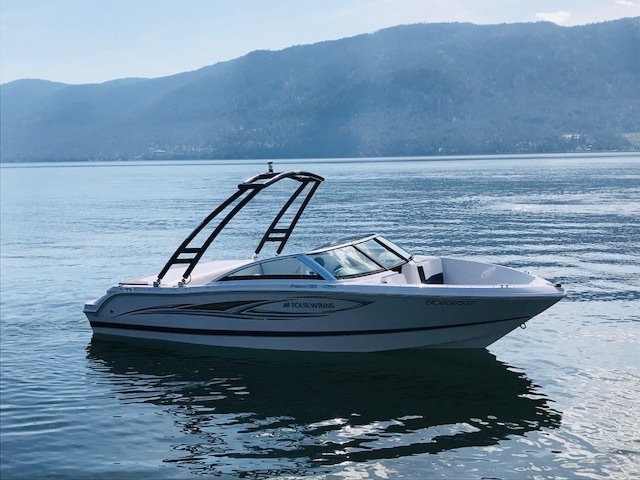 This boat is great for wakeboarding, tubing and skiing. Delivery & Launch Available – We’ll Bring the Boat to You! 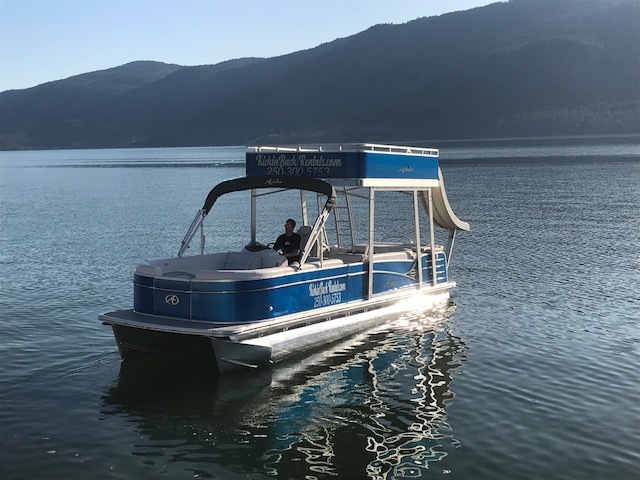 We will deliver anywhere from Kelowna to Vernon, including at the most popular boat launches highlighted on the map. The boat will arrive gassed up and ready to go! A small delivery fee applies to deliveries outside of our “home dock” in Lake Country. Our home dock is located in Lake Country, BC. Meet us at Okanagan Centre and delivery is on us! Open 7 days per week. Delivery available.